Get Captain America products at the Official Shop of Marvel, MarvelShop.com! Heroes, Battlestar Galactica -- and more! The chances of ABC Family picking up a second season of The Middleman are very slim, a source has told The Continuum. ABC Family has yet to comment officially on the show's future. The Middleman was created and executive-produced by Javier Grillo-Marxuach, based on his Viper Comics series, illustrated by Les McClaine. The series, starring Matt Keeslar and Natalie Morales, aired 12 episodes over the summer. Keeslar will be appearing in the second episode of Dollhouse, Joss Whedon's new series on Fox. On a brighter note, Grillo-Marxuach has announced on his blog that a DVD for the first season is in production. The DVD is being produced by Shout! Factory, and Grillo-Marxuach noted that it will be released this summer before Comic-Con International in San Diego. BATMAN: THE BRAVE AND THE BOLD: "THE EYES OF DESPERO!" Comics and animation veteran J.M. DeMatteis is the writer of "The Eyes of Despero!," Friday's new episode of Batman: The Brave and the Bold on Cartoon Network. 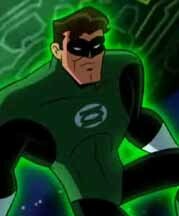 In the episode, the Green Lantern Corps is MIA after a battle with Despero. 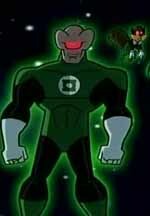 Batman must team with G'Nort, Guy Gardner and Sinestro to defeat Despero before he turns the living Green Lantern planet into a weapon. G'Nort was created by DeMatteis and Keith Giffen. 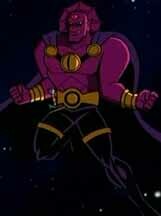 Voices include Loren Lester as Hal Jordan, Kevin Michael Richardson as Despero and Xander Berkeley as Sinestro. 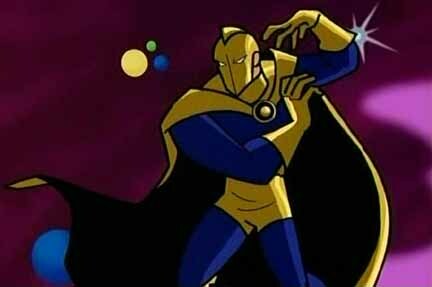 The episode features the series debut of Doctor Fate, who is voiced by Greg Ellis. The episode was directed by Ben Jones. Look for more on the episode soon here in The Continuum. Sam Raimi, back as director for Spider-Man 4, said he hopes to film part of the movie in his home state of Michigan. "I'll be looking at Michigan for our second-unit photography on the new Spider-Man film," Raimi told The Oakland Press in a story about Michigan's increasing film activity. Raimi said he would have filmed in Detroit -- where he was raised -- for Spider-Man 3 had Michigan's current tax incentives been in place. Production for Spider-Man 4 is expected to begin in 2010, although Sony Pictures has made no announcements. Nor has the studio commented on reports of back-to-back movies being shot. NBC has released four clips from "Fight Knight," the Wednesday, Feb. 4 episode of Knight Rider. "Mike's (Justin Bruening) old Army friend recruits his help to investigate the suspicious death of a tough-as-nails drill sergeant Jack Burber (guest star Tiki Barber). Mike learns that the drill sergeant was participating in an underground fight club for military veterans for extra money. In order to find out what really happened, Mike has to infiltrate the fight club and try not to get himself killed in the ring." For a clip of Michael examining Drill Sergeant Jack Burber's body, CLICK HERE. For a clip of Michael learning of an underground fight club, CLICK HERE. For a clip of Michael agreeing to fight, CLICK HERE. For a clip of Michael fighting Monster, CLICK HERE. For covers and five- to six-page previews of Dynamite Entertainment titles arriving in stores on Feb. 4, CLICK HERE. Titles include The Boys #27, Dead Irons #1, Man with No Name #6, Red Sonja #41 and Zorro #10. For previews of Marvel Comics titles arriving in stores on Feb. 4, CLICK HERE. For previews of Image Comics titles arriving in stores on Feb. 4, CLICK HERE. For previews of BOOM! Studios titles arriving in stores on Feb. 4, CLICK HERE. For previews of IDW Publishing titles arriving in stores on Feb. 4, CLICK HERE. For previews of Top Cow Productions titles arriving in stores on Feb. 4, CLICK HERE. For previews of Archie Comics titles arriving in stores on Feb. 4, CLICK HERE. * Wednesday, January 28: Moonstone Books for May, Wonder Woman's Nathan Fillion, Heroes, Wolverine and the X-Men, BOOM! Studio's Irredeemable, Marvel Comics First Looks, Top Cow Productions First Looks and Archie Comics First Looks. * Tuesday, January 27: Batman: The Brave and the Bold, DC Comics First Looks, Heroes, X-Men Origins: Wolverine, Marvel Comics First Looks, Star Wars: The Clone Wars, Terminator: The Sarah Connor Chronicles, Knight Rider and El Zombo Fantasma movie. * Monday, January 26: Avatar Press for April, Antarctic Press for April, Dollhouse, The Simpsons and Dynamite Entertainment First Looks. * Sunday, January 25: Batman: The Brave and the Bold, BOOM! Studios First Looks, The Simpsons, Terminator: The Sarah Connor Chronicles and Dabel Brothers Publishing for April. * Saturday, January 24: BOOM! Studios for April, Wonder Woman, Battlestar Galactica, Watchmen, Disney XD schedule and Image Comics First Looks. * Friday, January 23: Marvel Comics First Looks, Heroes, Zenescope Entertainment for April, Star Wars: The Clone Wars and IDW Publishing First Looks. * Thursday, January 22: Image Comics for April, Bluewater Productions' Warlock, Heroes, Ape Entertainment for April, Smallville, The Dark Knight's Academy Award nominations, Archie Comics First Looks and Top Cow Productions First Looks. * Wednesday, January 21: Smallville, Dynamite Entertainment for April, Dark Horse Comics First Looks and The Simpsons. * Tuesday, January 20: Marvel Comics for April, DC Comics for April, Smallville, DC Comics First Looks and DC Comics' Origins and Omens. * Monday, January 19: Watchmen, IDW Publishing for April, Archie Comics for April, Dynamite Entertainment First Looks and Mirage Studios First Looks. * Sunday, January 18: Hulk vs. and Boom! Studios First Looks. * Saturday, January 17: Top Cow Productions for April, Batman: The Brave and the Bold, Battlestar Galactica and Dollhouse. * Friday, January 16: Marvel Comics First Looks, Watchmen, Batman: The Brave and the Bold, Smallville and Hulk vs. Thor. * Thursday, January 15: Wonder Woman, IDW Publishing First Looks, Image Comics First Looks, Final Crisis, December sales, Emily Blunt in Iron Man 2? and Image Comics roundup. * Wednesday, January 14: Aspen Comics for April, Batman: The Brave and the Bold, Star Wars: The Clone Wars, Devil's Due Publishing First Looks, Archie Comics First Looks and Hulk vs. Thor. * Tuesday, January 13: Batman: The Brave and the Bold, DC Comics First Looks, Hulk vs. Wolverine and Top Cow Productions First Looks. * Monday, January 12: Wolverine and the X-Men, Heath Ledger wins Golden Globe, Star Wars: The Clone Wars, Dynamite Entertainment First Looks, 2008's top sellers, Bluewater's Caroline Kennedy comic and Archie's Freshman Year collection. * Friday, January 2: Hulk vs.: Fred Tatasciore, Batman: The Brave and the Bold, Bluewater Productions for April, Night Projectionist movie and Knight Rider.